It seems that almost every week there is a new announcement about a fitness brand collaborating with a high-end fashion brand to create an upscale, limited edition “tennis shoe.” (My friends always make fun of me because I grew up calling running shoes “tennis shoes.” I am told it must be a Southern thing…!) And if what we saw during fashion season is any indication—both Chanel and Dior had trainers on their couture runways—the trend is not likely to slow down. Below are a few collaborations making recent headlines. When the brands teamed up for the first time last year, the range sold out almost immediately. 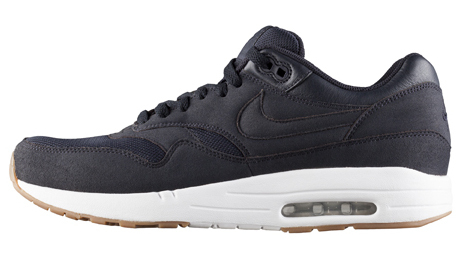 If you missed it, you will be pleased to know that a new design is back for Spring: the Nike Air Max 1 in all-navy suede, mesh, and leather with a white midsole. The style is available for men and women for $120. 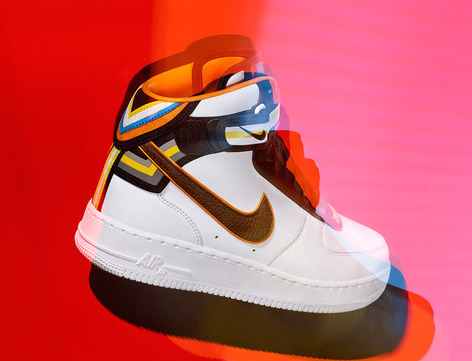 A few weeks ago, Nike unveiled it’s newest collaboration with Givency creative director Riccardo Tisci at a star-studded launch party in New York City. The Nike + RT Air Force 1 collection release drew personalities from the art, fashion, music, and sports worlds, including Joan Smalls, Victor Cruz, Marina Abramović, Harry Brandt, and Eva Chow. The pairing was rather organic, as the designer’s passion for basketball dates back to his childhood. 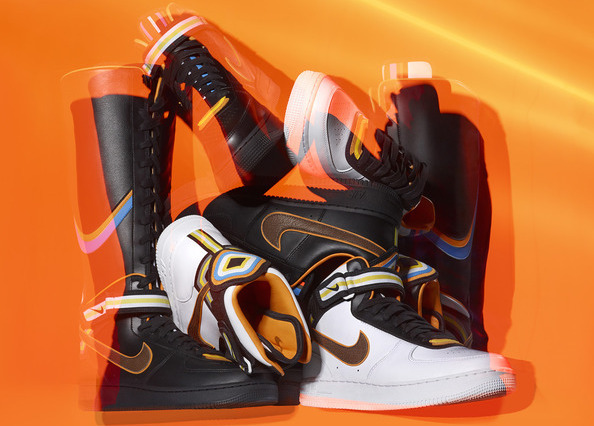 The collection includes four styles: the Nike + R.T. Air Force 1 Lo, the Nike + R.T. Air Force 1 Mid, the Nike + R.T. Air Force 1 High, and the Nike + R.T. Air Force 1 Boot. Prices range from $240 to $340 and can be found here. Adidas just announced a long-term partnership with Arby’s hat-wearing, Grammy Award-winning, of-the-moment superstar Pharrell Williams. Williams owns his own textile company, Bionic Yarn, which comes from The Vortex Project, an initiative with Parley for the Oceans to turn plastic debris from the oceans into yarn and fabric. Bionic Yarn will be used in some of Pharrell’s upcoming adidas Originals products. 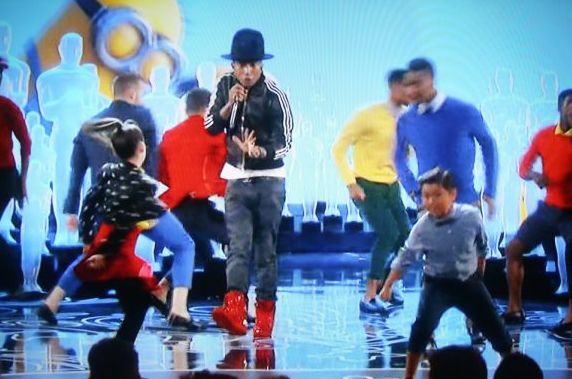 While the partners have yet to release images of their collaborative designs, Pharrell did wear a custom pair of red high-top adidas Originals sneakers during his performance of “Happy” at the Oscars. 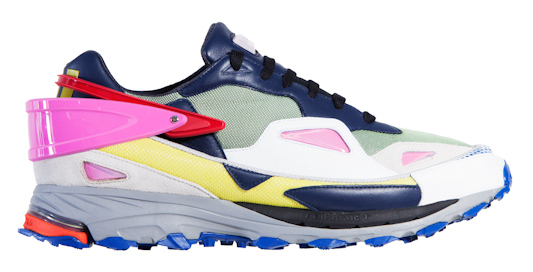 Following a much-lauded collection for Fall 2013, the Belgian designer has unleashed a new collaboration with the sports brand for spring/summer 2014. While last year’s range featured only 3 styles, the newest release includes 8 styles of performance runners, each in 4 different designs. The collection will be available at adidas Originals concept stores and select boutiques. You can get a little taste of the collection below and check out all the styles on Raf Simon’s website here.